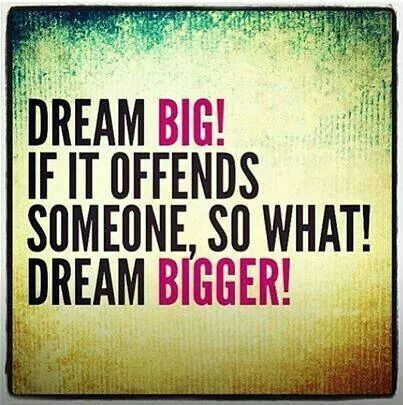 I am happily dreaming big dreams, working hard and attracting the right resources to help me bring them to fruition. I am worthy and every day I choose to believe this. Elihu: What a great reminder for today! I can’t tell you how discouraged I’ve been lately. I’ve wanted to throw in the towel on so many of my pursuits, but I know I need to stay the course. God isn’t finished yet! Trying to keep it simple is a good idea! I have dreams, hopes and goals but I gave up the outlandish fantasy expectations long ago. Yes I want to take my art and photography further but life is not a competition. When opportunities arise I take advantage of them. Whatever is meant to be will be. I don’t have grandiose out of reach expectations. I enjoy creating my artwork and photography for the pure joy of it. That way I stay happy and at peace with myself. We must keep pushing the boundaries. Thank you, Drew.